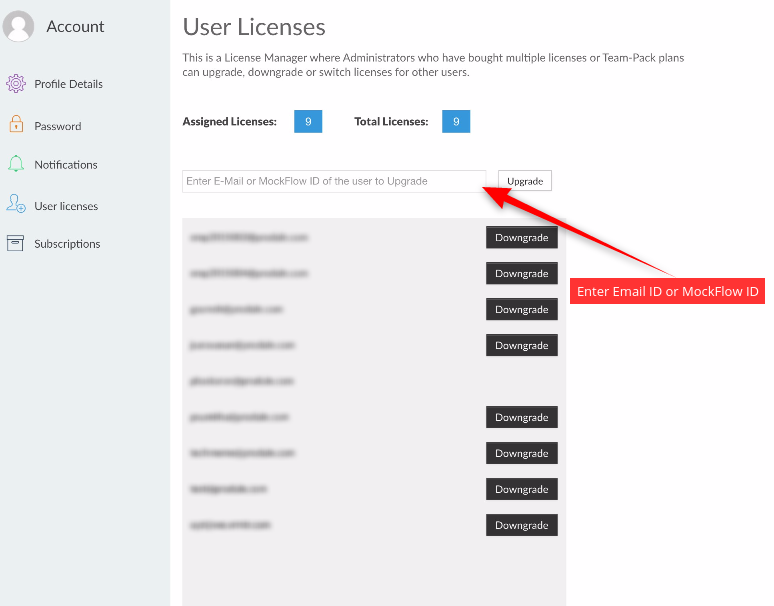 If you have bought the ' Team-Pack' or 'Enterprise' edition of MockFlow, then you can make use of the License Manager to manage/upgrade/downgrade licenses of other users anytime. 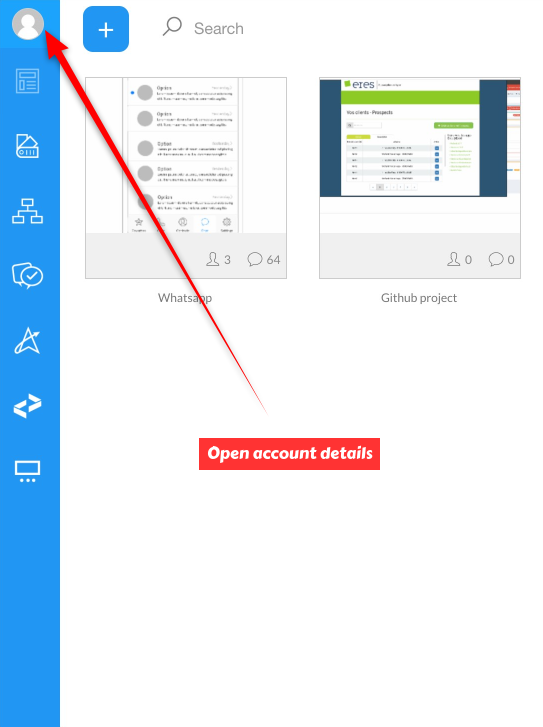 The administrator who bought the team-pack or enterprise license can even switch the licenses between different users. NOTE: Administrators with 'Enterprise' license can setup unlimited user licenses using the license manager for their business domain. 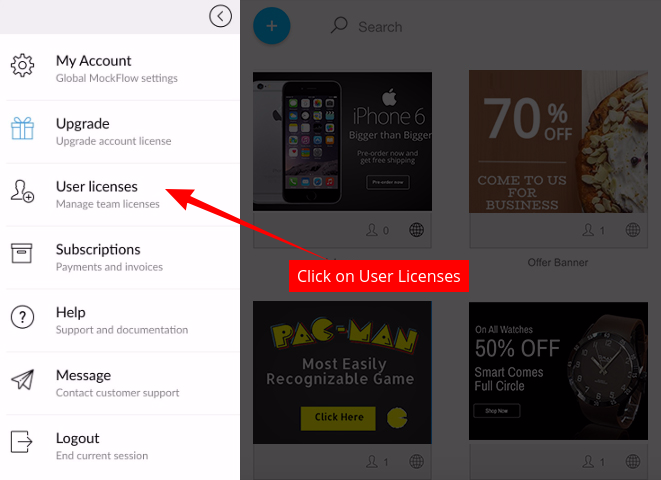 3) Enter email ID of the users and click 'Upgrade' button to setup licenses.